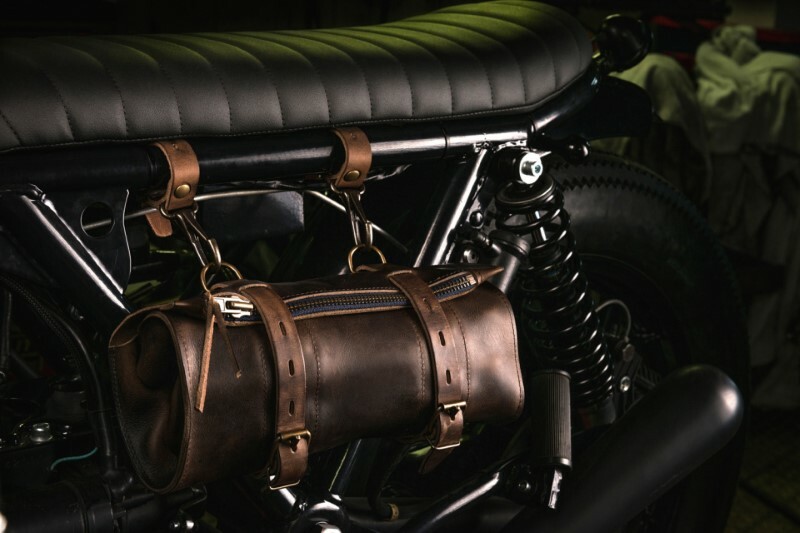 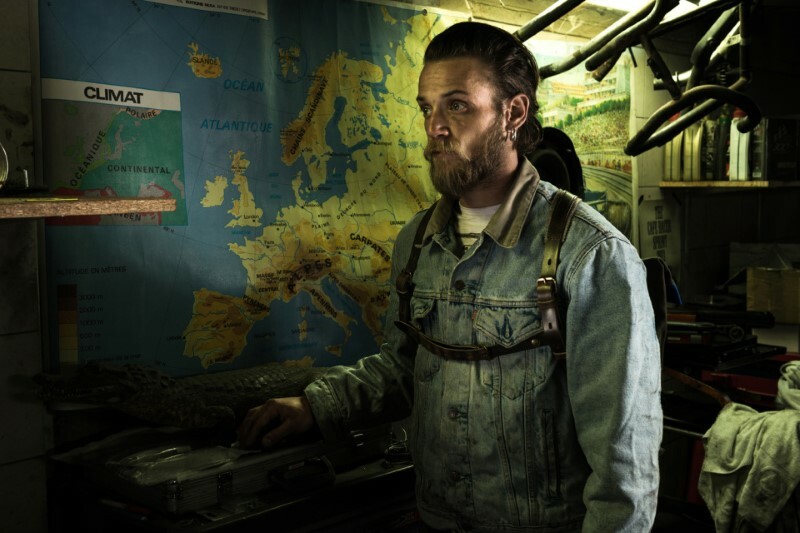 Fred Jourden, co-founder of Blitz Motorcycles, an absolut biker builder, asked Bleu de Chauffe to create a tool-roll, made in the best leather. 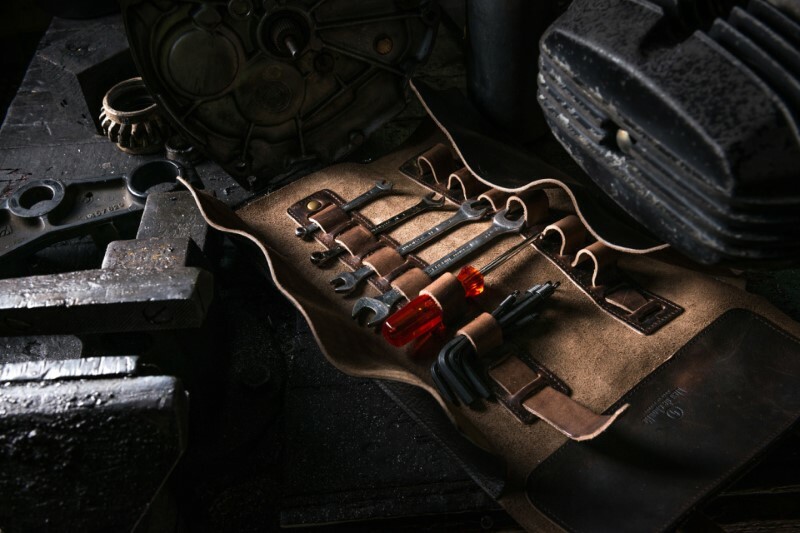 Very practical and strong, Blitz tool-roll is just essential for every experienced and demanding biker. 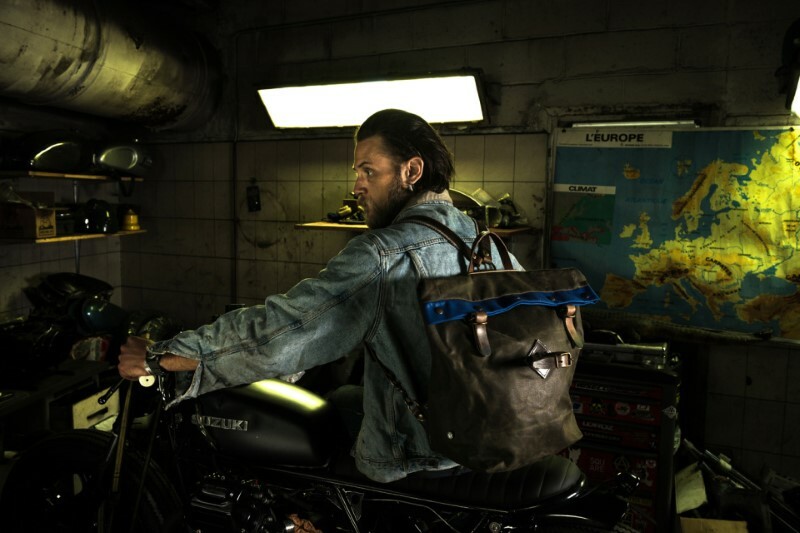 At the same time, Bleu de Chauffe has been fully reworking the Scout backpack to complete this collaboration. 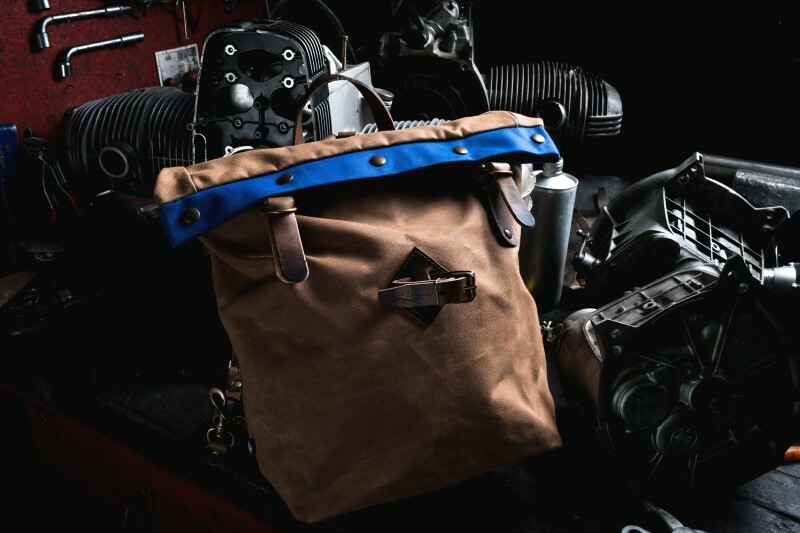 Made in a ultra-resistant waterproof waxed canvas, the bag is underlined by a blue border: a tribute to the Blitz mechanics work clothes. 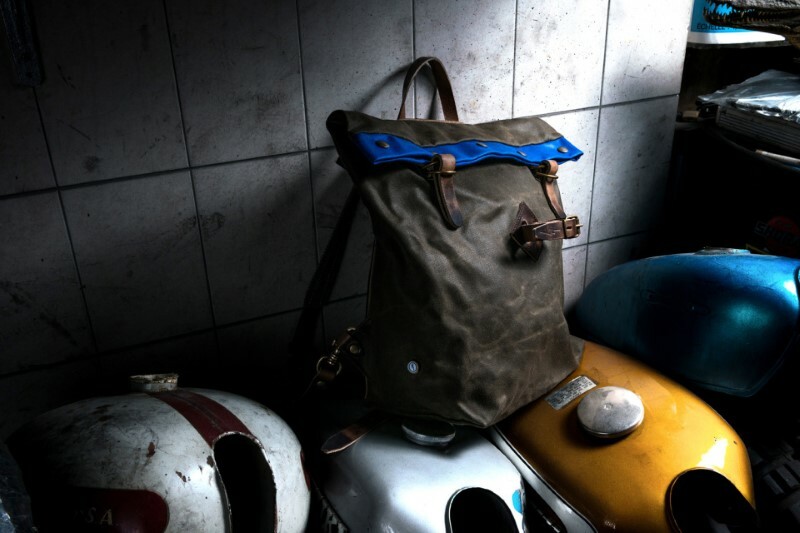 Pratical with its inside and outside zipped pockets, Scout bag may be worn by hand carry or like backpack, plus a removable lap belt for a perfect maintaining on the bik.